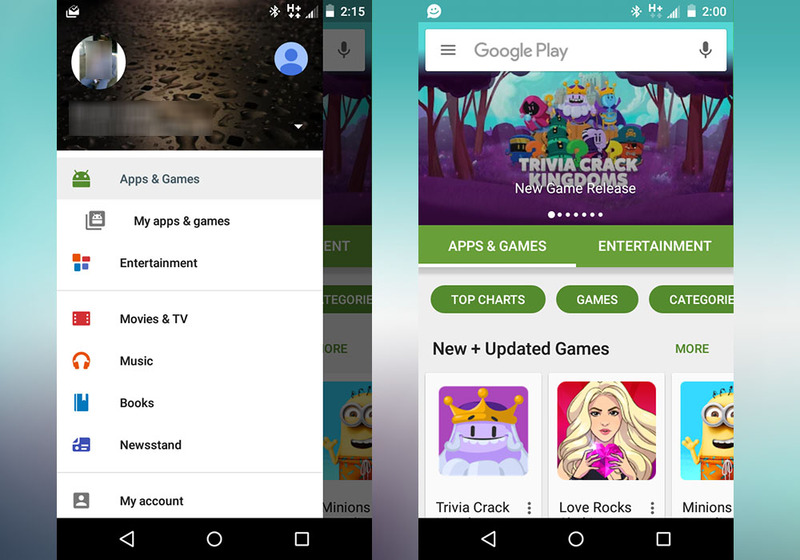 The big new Google Play UI update that was teased yesterday has begun rolling out to select users. It seems to be a server-side switch, so updating to a new version of Google Play via .apk file may not even do the trick. With that said, a new version 5.10.29 did show up yesterday and could be needed in order to get the backend flip. As you can see from the screenshots sent to us, you will see that experience first seen yesterday. It also looks like the slideout navigation menu is getting a change too, with shortcuts to the new Apps & Games and Entertainment sections at the top, then other direct shortcuts for the rest of the Google Play sections below. You can download the latest version of Google Play (5.10.29) here, just in case it’s needed to get this new look.